Starting this weekend at the Waste Management Open, Apple Pay contactless payments on the iPhone 6 and iPhone 6 Plus will be available for select food and beverage concessions purchases at the PGA Tour. MasterCard's support of Apple Pay expands to the PGA Tour via a partnership with Prom Management Group, allowing golf fans to buy concessions at the 16th hole at TPC Scottsdale for this weekend's event in Phoenix. "The tournament experience lends itself well to simple, secure payments so fans get through concessions and back to the tournament quickly," said Matt Barr, Group Head, U.S. Emerging Payments, MasterCard. "We're thrilled to partner with the PGA Tour to bring contactless acceptance to stops on the 2015 schedule. Through our long-standing relationship with PGA TOUR we are constantly looking for opportunities to create enhanced spectator experiences both on-course and online, whether that's through advanced payment capabilities or delivering surprises to fans." 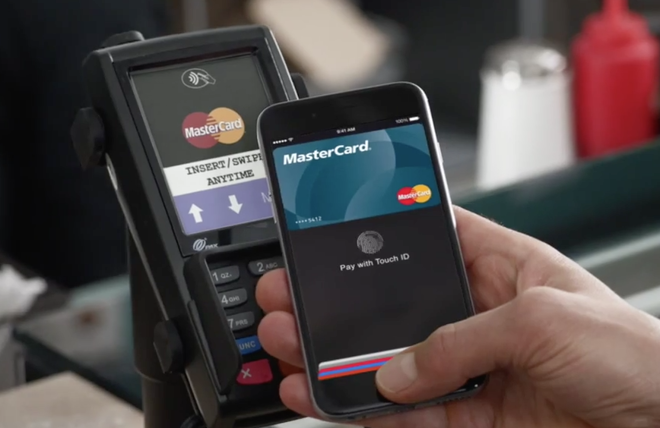 MasterCard has been an early and strong supporter of Apple Pay, pushing its alliance with Apple in a series of advertisements spotlighting the new e-wallet service. The campaign began last year with the start of the World Series, and also delved into pop culture with an ad featuring performer Gwen Stefani. The 2015 Waste Management Phoenix Open begins Thursday and will be broadcast on the Golf Channel. Prom Management Group caters 38 professional golf tour events, and Monday's announcement suggested future PGA Tour events will also support Apple Pay, with a press release calling the Phoenix Open the "first stop" for Apple's payment service. "As always, we anticipate extremely large crowds this week at the Waste Management Phoenix Open and it only makes sense that this is the venue where we introduce this simple and secure mobile payment technology that will further enhance the spectator experience," said Rob Ohno, PGA Tour Senior Vice President of Corporate Marketing. "Technology is guiding the evolution of golf from both a player and spectator experience. Our long-standing relationship with MasterCard has helped ensure that we are delivering the latest in payment technology." Along with MasterCard, credit card providers Visa and American Express were also Apple Pay launch partners. Participating banks include American Express, Bank of America, Capital One, Chase, Citi, and Wells Fargo, along with a host of local credit unions. Currently, Apple Pay support for contactless transactions is available only in the iPhone 6 and iPhone 6 Plus, though support will be added to older iPhone models when paired with the upcoming Apple Watch.